Barnes & Nobles has announced its latest e-book reader, which it calls the NOOKcolor. 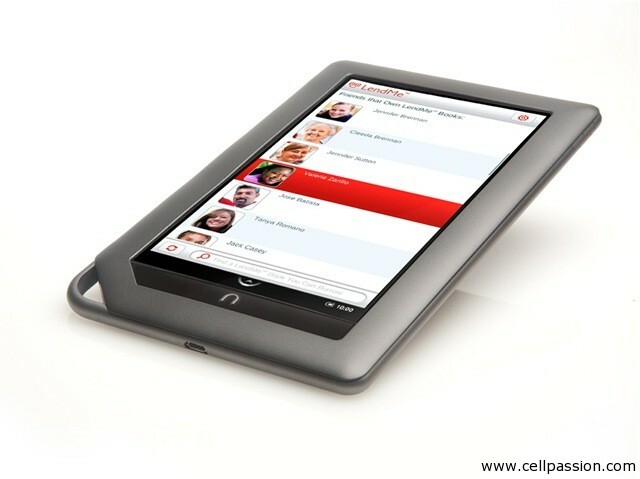 Priced at $249, it features a 7.0-inch touchscreen (1024×600 pixels) and runs on Android OS with a custom UI. The NOOKcolor is Wi-Fi only and has 8 GB of internal storage, which can be increased by another 32 GB with a microSD card. While it runs on Android, B&N has decided to make it a closed ecosystem and it does not come with any of the Google goodies (not even Android Market) and the bookseller would like to have its own application store instead. Where the NOOKcolor scores over the plain-old NOOK (and probably even the Kindle) are certainly the colour display and a better browsing experience. It will come with a MS Office suite as well as a media player. However, where it seriously lacks is its battery performance – 8 hours of reading with the wireless turned off. So here’s the deal, the NOOKcolor won’t give you the complete Internet Tablet experience (remember, no third party apps from the wild, only those that B&N let’s in) and it won’t give you the battery life one has come to expect from e-book readers thanks to their e-ink displays. So if a colour display is so crucial, I might just drop another $200 and get a proper Internet Tablet like the iPad (16 Gb Wi-Fi only) and install the NOOK app on it. And if having a longer lasting battery is more important than a colour display, i would rather save money and pick up the ol’ school NOOK or Kindle instead. Without having even seen the NOOKcolor, my gut feeling says that it is neither a proper e-book reader nor an Internet Tablet. Then again, I like to be proven wrong and hope to get a review unit sometime soon.